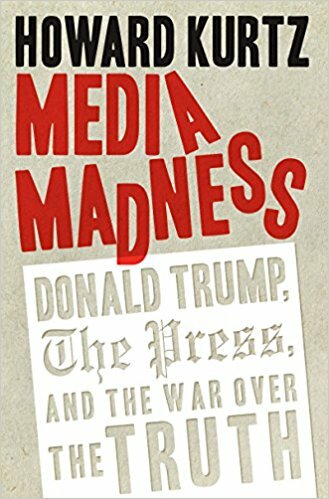 Media Madness is filled with shocking accounts of what really happened behind the scenes of some of the biggest controversies and media skirmishes during Trump's time in office. Kurtz explains how American journalism has gotten to this volatile point, and what's really happening in the White House's all-out-war with the mainstream media. Kurtz writes, "What many journalists fail to grasp is that Trump's supporters love his street talk and view the media critiques as nonsense driven by negativity. They don't care if he makes mistakes. As paradoxical as it sounds, negative coverage helps Trump because it bonds him to people who also feel disrespected by the denizens of the mainstream press. The media take everything literally, and Trump pitches his arguments at a gut level. It is asymmetrical warfare. "My greatest fear is that organized journalism has badly lost its way in the Trump era and may never fully recover. Even if the Trump presidency crashes and burns - in which case the press will claim vindication - the scars of distrust must never heal. "My view doesn't reflect some evolution or epiphany on my part. I haven't really changed. My profession keeps moving the goalposts. "When Trump first declared his candidacy, I sat on endless television panels with prognosticators who said he was a joke, a sideshow, a summer fling, and then he was going to implode the next week, the next month, that he wouldn't make it to Iowa, that he had no shot at winning the nomination. They pronounced last rites each time he caused a media uproar with controversial comments. And then in the fall the cognoscenti knew that of course he could never win a general election, right up to the evening of November 8, 2016. "When I would say that Trump wasn't going to self-destruct, that he was media savvy, that he was connecting with alienated voters, that bad press only helped him, I was dismissed in some quarters as being in the tank for a bombastic billionaire...The truth is that I wasn't pro-Trump at all, I was pro-reality. "The point here is not that I was right, but that so many in the news business couldn't see beyond their own biases. Or they would say Trump might win, but that the prospect was so frightening that the media had to stop him by convincing voters that he was a racist liar, and dammit, why aren't they getting it? "It turns out that they were the ones who failed to recognize what was unfolding before their eyes. It was the most catastrophic media failure in a generation." In Media Madness, Kurtz reveals: How the love-hate relationship between the president and Morning Joe hosts Joe Scarborough and Mika Brzezinski turned into mutual animosity. How Kellyanne Conway felt betrayed by journalists who befriended her and how she fought back. How elite, mainstream news reporters, named and quoted, openly express their blatant contempt for Trump. How Ivanka and Jared Kushner aren't the liberals who pundits want them to be and why Trump tried to discourage them from joining the White House. How Trump is a far more pragmatic politician than the press often acknowledges, and how the press dismisses his flip-flops when he flops their way. How the media consistently overreached in the Russian "collusion" scandal. How Sean Spicer privately berated journalists for bad reporting and why he and Conway were relentlessly attacked by the media. An interesting revelation is that Trump actually likes journalists, secretly meets with them, and allows the press unprecedented access. This is tied into why former Chief of Staff Reince Priebus couldn't do his job and the real reason he left the White House. Kurtz writes, "Priebus had complained to Trump about the endless leaks. He felt that he had laid down strict rules against leaking, but that he was being a Boy Scout while all his detractors dumped on him in the press. He had seen too many details published after meetings involving just him, Trump, and a couple of other people. "The president himself leaked to reporters as well, his aides believed, sometimes in late-night calls. And sometimes it was inadvertent: Trump would talk to so many friends and acquaintances that key information would quickly reach journalists. "Priebus also sometimes spoke to reporters on background to push back against anonymous accusations. And there were times when he placed authorized leaks, such as previewing coming announcements. Still, the porous atmosphere fostered mistrust within the administration, and Trump's deputies were increasingly willing to use the press to undermine their colleagues rather than help the president. But Reince was wedded to the belief that Trump's opinion of him was the only one that mattered." There is a lot in Media Madness about one of the most polarizing figures in the Trump administration, former White House strategist Steve Bannon. When Trump brought in short-lived Communications Director Anthony Scaramucci, Bannon tried to block him. Bannon told Trump he is in danger of being impeached and that that he predicted the Charlottesville debacle. "Trump said that was fine, that Bannon should go ahead. But now Bannon was denouncing the majority leader and some of his allies when Trump needed their votes to pass tax reform. "'You don't have any friends,' Bannon shot back, not unless they went to the microphones to take on his critics like Senator Bob Corker." Kurtz writes of the game that Trump plays with the media, "Donald Trump is staking his presidency, as he did his election, on nothing less than destroying the credibility of the news media; and the media are determined to do the same to him. This is not just a feud or a fight or a battle. It is scorched-earth warfare in which only one side can achieve victory. "To a stunning degree, the press is falling into the president's trap. The country's top news organizations have targeted Trump with an unprecedented barrage of negative stories, with some no longer making much attempt to hide their contempt. Some stories are legitimate, some are not, and others are generated by the president's own falsehoods and exaggerations. But the mainstream media, subconsciously at first, have lurched into the opposition camp, are appealing to an anti-Trump base of viewers and readers, failing to grasp how deeply they are distrusted by a wide swath of the country. "These are not easy words for me to write. I am a lifelong journalist with ink in my veins. And for all my criticism of the media's errors and excesses, I have always believed in the mission of aggressive reporting and holding politicians accountable. "But the past two years have radicalized me. I am increasingly troubled by how many of my colleagues have decided to abandon any semblance of fairness out of a conviction that they must save the country from Trump." 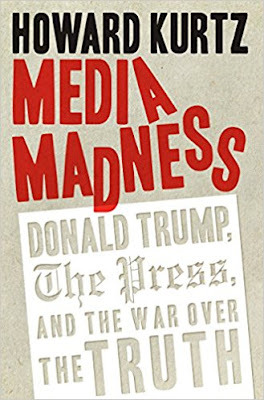 Media Madness is the definitive account of the complex battle between Trump and the media from a journalism expert, and a must for anyone that is searching for a fair account of the state of the press.